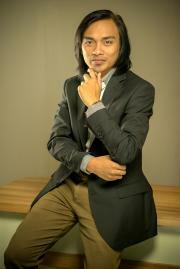 Ridho holds an undergraduate degree in Economics from Padjadjaran University, Indonesia. Ridho is a quantitative junior researcher specialising in economic development. His main research interests include poverty & inequality, social protection, education, and subjective well-being. Ridho has presented papers on subjective well-being in various national and international conferences. Prior to joining SMERU, Ridho worked as a teaching assistant at the Department of Economics, Padjadjaran University. He also worked as a research assistant at PRISMA and SDGs Center at the same university. In 2015, Ridho was the runner-up of the Best Student Award from the Faculty of Economics and Business, Padjadjaran University. During his period of study, Ridho was awarded a number of scholarships including The Astra 1st Scholarship and Development Program from PT Astra International Tbk, Dana Prestasi from the Faculty of Economics and Business Alumni Association (Universitas Padjajaran), and Bidik Misi from Directorate General of Higher Education of the Ministry of Research, Technology and Higher Education of the Republic of Indonesia.